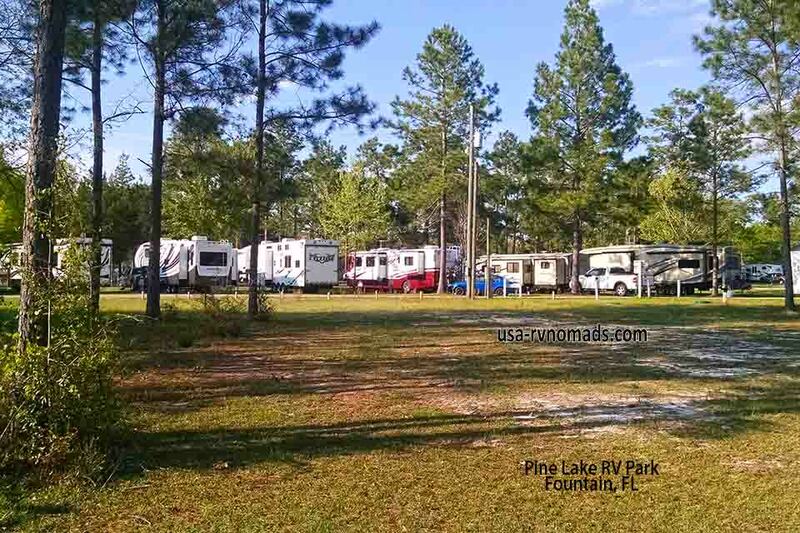 We visited this park on March 25, 2015, and stayed for 7 day(s). 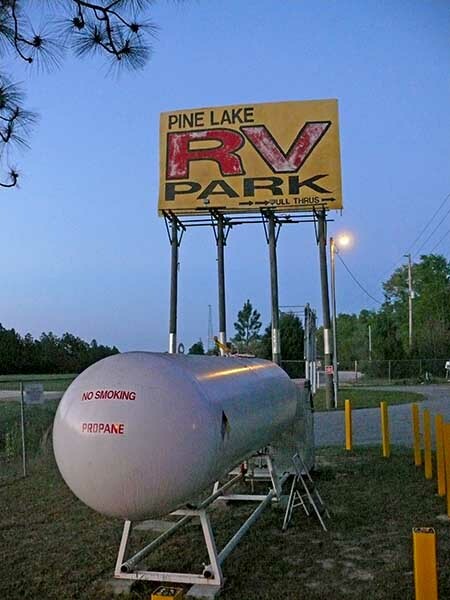 Pine Lake RV Park has paved roads, good sized sites, some shade, a fishing lake (catch & release only), exercise room, laundry with community clothesline. This park also allows you to wash your rig…with a $5 permit. We took full advantage of this to remove the winter buildup off the roof of our rig. The section of this park closest to the main lake was not in use…in fact most of the power meters at the sites show zero usage, which makes us wonder if this section is there for disaster evacuees should a natural disaster occur elsewhere in the state. 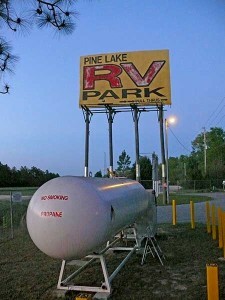 Pine Lake RV Park is not too far from Panama City (about 30-40 minute drive), where there’s good shopping and the beach. If you like watching modern fighter jets dogfighting…this is the place for you. 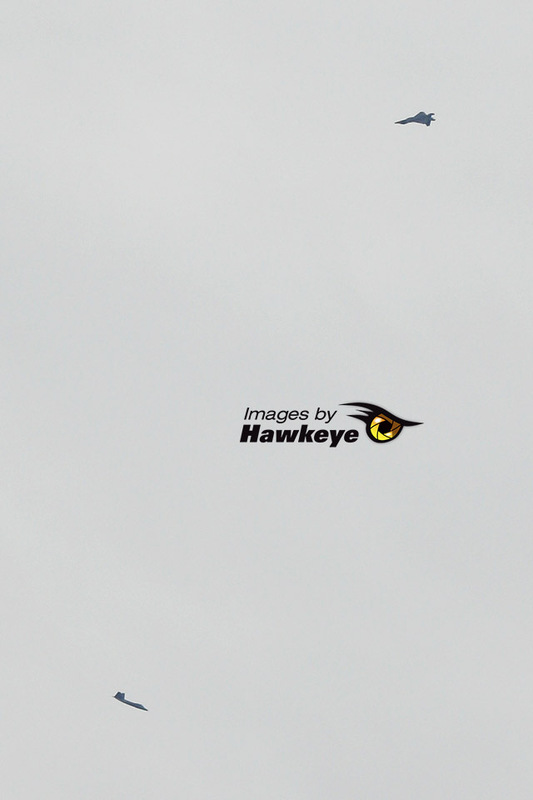 Almost daily we were treated to aerial combat practice overhead featuring F-22 Raptors and F-16 Falcons. So sit out in your reclining lawn chair and watch the show!